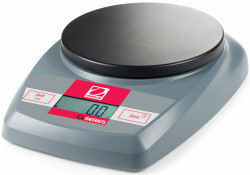 The Ohaus CL series is an alternative to other compact portable scales when cost is critical. With basic weighing and a simple 2-button keypad, you start weighing right out of the box. Use it in the office, lab or in the factory, or carry it with you anywhere. Theres no reason to settle for other brands when you can have an Ohaus.